Jeff Gallagher briefly contemplated giving Joe Crumley his own key to the Black Hills High School gymnasium. Over the past couple years, Gallagher, head coach of the Wolves’ boys basketball team, would routinely receive a text most Sunday mornings. 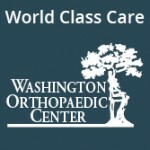 Inquires increased over time. It got to the point where Gallagher no longer checked to see who had sent the message. If it was coming in early Sunday, it was Crumley. 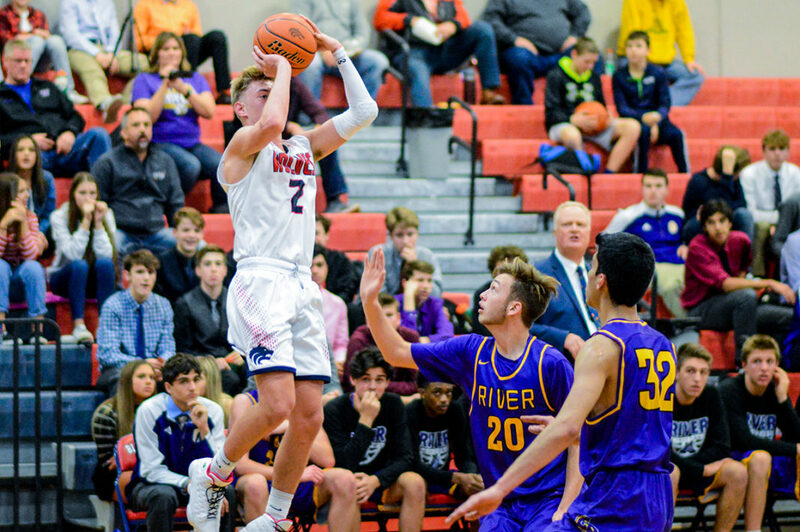 Weekends, before school, after practice – Crumley just wanted to be in the gym. Casual pick-up games or simply shooting around, either will suffice for Crumley. He just wants to dedicate as much as he can at improving his skillset. Gallagher first met Crumley while putting on a Wolves’ basketball camp six years ago. Prior to that meeting, Crumley’s gym of choice was the Valley Athletic Club. 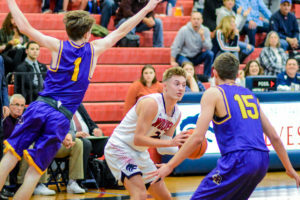 Numerous times during the week, regardless of the season, Crumley would stuff a basketball into his backpack and ride his bike 3 miles just for a chance to get on an available court and play. The trips to the Valley became less common once Crumley attended Gallagher’s camp and soon the Black Hills gym became his home court. Not long after, the texting started. Crumley was thrust into the Wolves starting point guard role last year more out of necessity than anything else. A thin backcourt required Crumley to shift over from his more natural off-guard position. 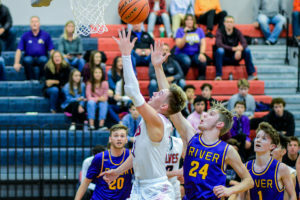 Despite the role change, Crumley excelled averaging 14.2 points a game during his junior campaign while helping Black Hills advance to the district tournament. 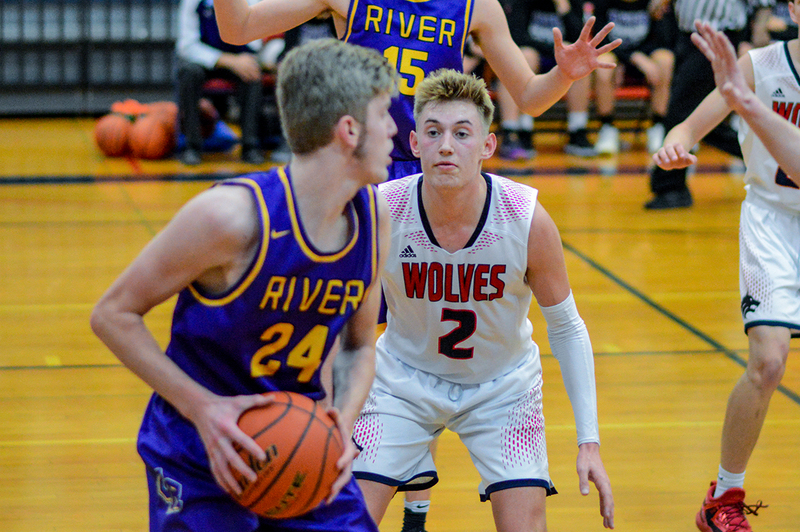 Due to a much deeper roster this year, Crumley will alternate between the point and shooting guard positions, giving Gallagher more flexibility with his lineup as the Wolves look to contend for the 2A Evergreen Conference title. His multipurpose nature, however, is not just confined to his play. 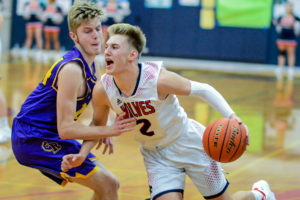 Crumley, whose father is a long-time youth basketball coach, also serves as Black Hills’ on-the-court coach, according to Gallagher, a former point guard himself who was coached by his own father. Crumley is one of five seniors on the Black Hills’ roster this year, joining Garrett Glenn, Casey Olson, Colby Smith and Kaena Walker. The Wolves opened the regular season winning four out of their first six games, with victories over 4A Evergreen of Vancouver (62-58) and Bremerton, Gallagher’s alma mater which Black Hills bested 84-28 to open the season. The Wolves will begin EvCo play on the road at W.F. West on January 2.